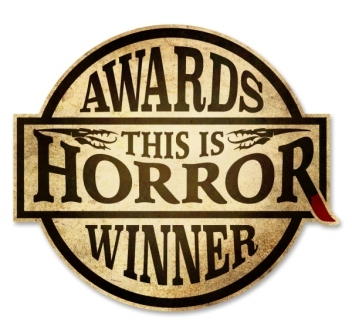 The winners of the 2015 This Is Horror Awards were announced on February 25. They were chosen by vote of the UK website’s readers. This entry was posted in Awards and tagged This Is Horror Awards by Mike Glyer. Bookmark the permalink. I am reading A Head Full of Ghosts now. Only about a quarter of the way in, and am enjoying it intensely. He’s doing a good job of setting up a theme of layered narratives, each of which has its own truth values… Thwre are new stories written between illustrations on the pages of books, and the voices in one sister’s head with the medical narrative Mom is embracing to deal with it contrasted to the religious narrative Dad is embracing. So far the story is primarily told via the younger sister’s memories, heavily impacted by the disortions that having had your life made into a reality show, complete with dramatic re-enactments. If this quality keeps up, I see why it was recognized!